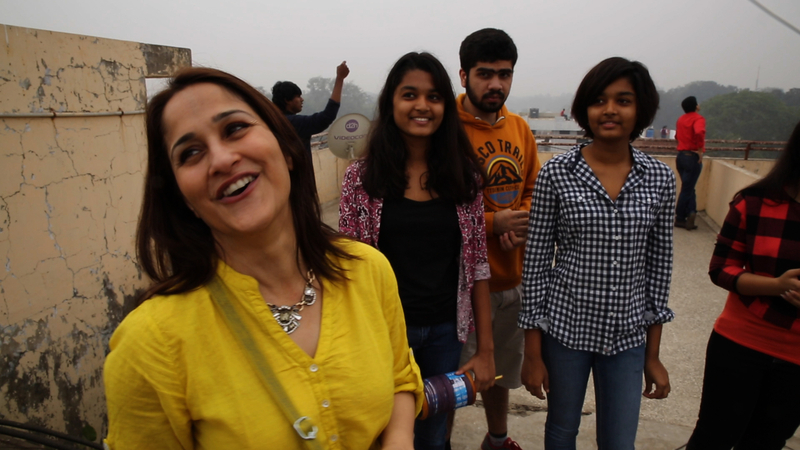 In 2001, Kiran set up her own school in Ahmedabad, India. She had found that modern education places insufficient emphasis upon imagination, emotional well-being and choice, and that a new paradigm was needed in which pupils creatively explore the world, develop themselves and care for others. 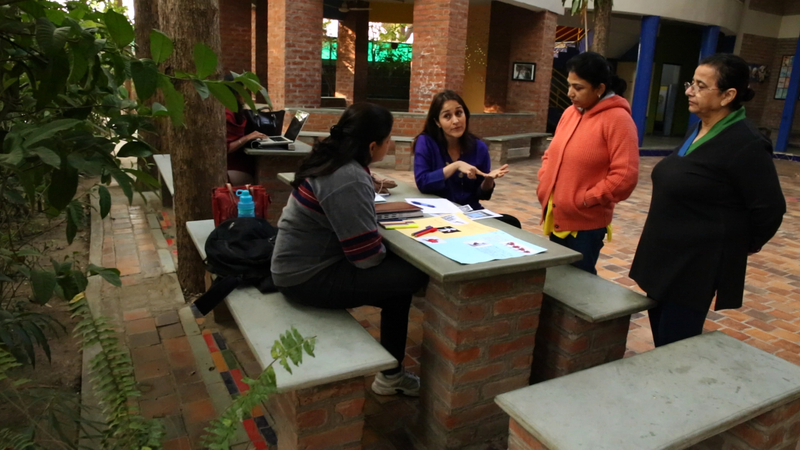 Central to Kiran’s teaching method is a simplified Design Thinking approach that leads students to understand empathetically rather than just intellectually, and puts academic learning into a real-world context. This in turn encourages collaboration and the creation of future ‘citizen leaders’ who make a positive impact on the world around them. For instance, ninth grade students learning about the water filtration process visit low-income communities to find out about the quality of drinking water available there. They then use the knowledge learned in the classroom to build prototypes of water filtration machines that can be used by the community members. 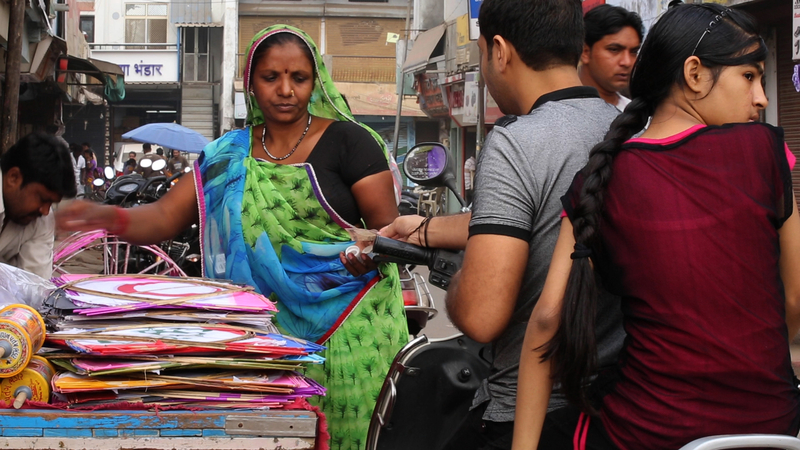 The success of this teaching approach is born out in the ASSET Results, a national assessment for schools in India, where Riverside students have consistently outperformed the top 10 schools in Math, Science and English. Riverside School has been ranked the No.1 Day School in Gujarat for several years and was ranked No. 3 Day School in India by Education World in 2013. 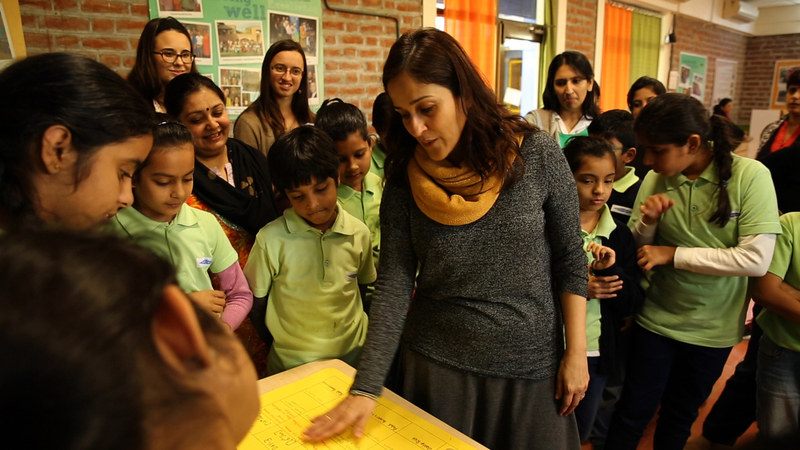 Based on extensive research, Kiran has developed a Design for Change curriculum for middle school students, which is being piloted in 64 schools in India and 5 schools in Spain, Peru, USA and Taiwan. 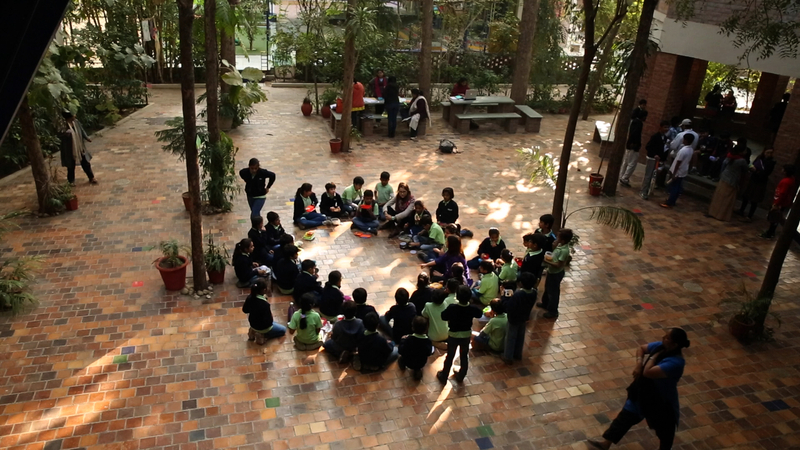 The related Design for Change (DFC) School Challenge was initiated in 2009 and has since spread to over 35 countries, challenging children to design and implement solutions to problems they see around them. DFC has a collection of over 10,000 stories of change by children across the globe. Her Riverside School has also had an effect on the wider community through the ‘aProCh’ (a Protagonist in every Child) program, which is a city project promoting the celebration of childhood. 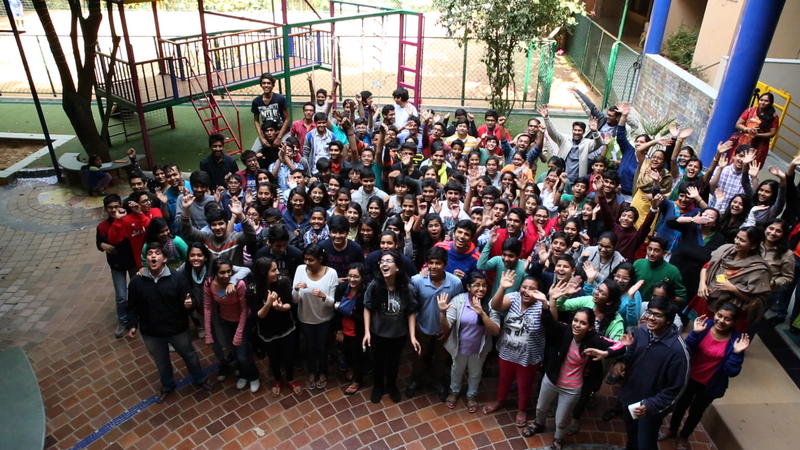 Many schools in India have been inspired by this initiative, and aProCh has supported the implementation of these programs in five cities across the country, impacting over 50,000 children since 2007. Kiran became an Ashoka Fellow in 2008 and was honoured with the Patricia Blunt Koldyke Fellowship 2013 in Social Entrepreneurship. Her Design for Change initiatives won the INDEX – Design to Improve Life Award in 2011 and The Rockefeller Foundation Youth Innovation Award in 2012. aProCh won the Ashoka American Express ‘Serve2Gether’ Consultancy Award in 2013. 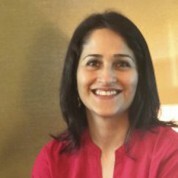 If awarded the Prize, Kiran would use the funds to conduct Design Thinking workshops for teachers on a much larger scale, make videos and documents available to teachers via a new online platform, TeacherED, and support further research.